Seminario Sermo Latinus: dialogo sull’attualità della lingua latina con confronto tra proposte didattiche, Macerata, 20 febbraio 2019. Relatori: Andrea Balbo (Università di Torino), Luigi Miraglia (Accademia Vivarium Novum, Frascati/Roma). Modera: Francesca Boldrer (Università di Macerata). Seminario permanente del Instituto “Séneca” 2019, Cicerón, De legibus, Getafe. 24 de enero: Introducción al diálogo, sus fuentes y modelos – La tradición manuscrita – Lectura, traducción y comentario de los capítulos iniciales del libro I. 7 de febrero: Lectura, traducción y comentario de los capítulos centrales del libro I: el problema de la justicia. 21 de febrero: Lectura, traducción y comentario de los capítulos finales del libro I. 7 de marzo: El problema de las fuentes jurídicas del libro II: lectura, traducción y comentario. 21 de marzo: Leyes y religión en el libro II: lectura, traducción y comentario. 4 de abril: Fuentes y modelos del libro III: el retrato de Platón; lectura, traducción y comentario. 25 de abril: Rosa Affatato (Universidad Complutense de Madrid), El De legibus en las obras de Dante. 9 de mayo: Leonardo Masone (UC3M), De los Nomoi al De legibus: relaciones entre Platón y Cicerón en el tema de la ley. 6 de junio: Ley y magistratura en el libro III: lectura, traducción y comentario. 27 de junio: Fragmentos y tradición indirecta del texto: lectura, traducción y comentario. Programma XVI Giornata Centro di Studi sulla Fortuna dell’Antico “Emanuele Narducci” e bando borse per partecipazione ai lavori, Sestri Levante, 15 marzo 2019. Il Centro di Studi sulla Fortuna dell’Antico “Emanuele Narducci”, in collaborazione col Liceo “Marconi-Delpino” di Chiavari, organizza presso la sede di “MediaTerraneo S.R.L.” (Convento dell’Annunziata, Baia del Silenzio, via Portobello 14, Sestri Levante – GE), per l’intera giornata di venerdì 15 marzo 2019 (con inizio alle ore 9), la Sedicesima Giornata di Studi dal titolo Aspetti della Fortuna dell’Antico nella Cultura Europea. Terranno relazioni (in ordine di programma): Alessandro Ghisalberti (Università Cattolica di Milano), Aristotele e il cambio dei paradigmi filosofici nell’Occidente medioevale; Angela G. Drago (Università di Bari), L’eroismo tragico dell’ultimo Leopardi e il recupero impossibile della classicità; Giulio Firpo (Università di Chieti), Garibaldi tra dittatura degli antichi e dittatura dei moderni; Alfredo Casamento (Università di Palermo), Dimenticare(? ): come finisce una guerra civile. Un tema retorico e politico tra antico e moderno; Grazia Maria Masselli (Università di Foggia), Ariovisto il “tudesco”. Il tema della vanagloria in Carlo Emilio Gadda; Lucia Perrone Capano (Università di Foggia), Riscritture: “Die Schutzbefohlenen” (I rifugiati coatti) di Elfriede Jelinek e “Le Supplici” di Eschilo. Le sessioni dei lavori saranno presiedute da Giovanni Mennella (Università di Genova) e da Giovanni Cipriani (Università di Foggia). Ai sensi della legge 107/2016 il Liceo “Marconi-Delpino” è soggetto accreditato per la formazione del personale della scuola. Il convegno è pertanto valido come aggiornamento per i Docenti che vi partecipano. Verrà rilasciato attestato di partecipazione. We invite proposals (for papers of 30 minutes) for a two-day workshop at Leiden University (The Netherlands) on the theme “Assessing Cicero’s (in)constantia through the Ages”. The workshop will be dedicated to the question how later authors reacted to the theme of philosophical, political and oratorical consistency, which was so prominent within Cicero’s oeuvre and his own life. 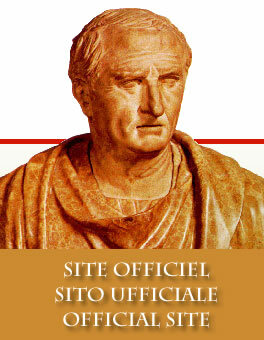 To give just one example per category: (a) philosophy: in De officiis 1.125, Cicero affirms that nothing is more fitting than preserving consistency in every action and plan; (b) politics: long parts of the Pro Sulla are dedicated to Cicero’s self-defence from the charge of not showing political consistency compared to his behaviour as consul; (c) (forensic) oratory: in the Pro Cluentio, Cicero has to explain why his stance is completely opposite to his views during a previous court case involving Cluentius. Cicero’s (in)constantia has consistently triggered readers in antiquity and beyond. In antiquity, one can think of Velleius Paterculus’ praise that Cicero acted with exceptional constantia in handling the Catilinarian conspiracy and contrast this to the critical remark by Iunius Bassus in Seneca’s Controversiae that Cicero lacked constantia. Famous is Petrarch’s disappointment about the inconsistency between Cicero’s public and private behaviour after having rediscovered his Letters to Atticus or Theodor Mommsen’s biting characterisation of Cicero as a person without any moral compass and without any consistent behaviour. During the workshop, we would like to examine why the theme continued to interest readers through the ages. We are especially interested in the underlying moral expectations and evaluations with regard to Cicero’s (in)constantia. We especially welcome proposals that investigate the interrelatedness of two or even all three fields mentioned above: philosophy, rhetoric and politics. Keynote speaker: Matthew Roller (Johns Hopkins University). The workshop will take place in Leiden on Friday 21 and Saturday 22 June, 2019. Hotel costs of the participants will be covered (for two nights), but travel costs will be at personal expense. The workshop is organised as part of the Leiden research project “Mediated Cicero”, funded by the ‘Netherlands Organisations for Scientific Research’ (NWO), principle investigator Christoph Pieper. If you are interested in participating, please send your proposal of max. 300 words by February 10, 2019 to Christoph Pieper (c.pieper@hum.leidenuniv.nl). For further information, please also contact the organiser. Call for Papers ΠΗΓΗ / FONS: Axiological confusion and its causes. The online peer-reviewed academic journal Pegé/Fons (Universidad Carlos III de Madrid – Instituto de Estudios Clásicos “Lucio Anneo Séneca”) invites scholars and researchers to submit manuscripts for the forthcoming issue (V – 2020). Pegé/Fons encourages for its next issue contributions about: “Axiological confusion and its causes” (editors: Ermanno Malaspina and Jula Wildberger). How can we know anything? While this question drives our Skeptic sources’ engagement with Hellenistic ‘dogmatic’ epistemology, for the Epicureans and Stoics themselves, who regarded all relevant knowledge as evident by nature, there was another conundrum waiting to be solved: How did we get confused in the first place? Both Epicureans and Stoics posit innate or naturally acquired and uniform true preconceptions and a cognitive mechanism by which occurrent facts can be known with evident certainty, in particular facts concerning the well-being of a human agent. Although instructed with unfailing sensors for what is good for them and what not, almost all humans undergo a cognitive development at the end of which they are no longer capable of discerning apparent from actual values reliably. Against these positions, and parallel to them, the skeptics, and then, separately, the academic tradition, placed instead at the center of their gnoseological setting precisely the difficulty, if not the impossibility, of attaining a faithful understanding of the world: therefore, they took a very critical look at the aforementioned dogmatic tenets, placing the essence of wisdom rather in the methodical doubt and in the suspension of judgment. Moreover, one can find all these different positions and the related controversies not only as they are in the texts of the philosophers, but also, in a much more faded way, in the so called ‘popular morality’ we find in other literary genres. In addition to the papers listed below, we would like to invite contributions that explore such theories and their reception from the perspective of different disciplines and with a range of methodologies. How exactly did different schools conceive axiological confusion, that state in which agents are no longer able to discern what is good and bad for them? How did they explain this cognitive impairment? Is this epistemological theory consistent with their overall world view? Was there disagreement within the school? What can we learn from literary representations of the phenomenon or, e.g., the implicit use of Epicurean or Stoic or ‘skeptical’ theories in the creation of a literary character? We also welcome close readings and philological elucidation of single source texts or studies of the lexicon and imagery of axiological confusion. Papers by scholars at the beginning of their career are very welcome. The double blind peer review, the open access journal systems and the electronic journal platform of the Carlos III University of Madrid (https://e-revistas.uc3m.es/) guarantee Pegé/Fons an extraordinary visibility and worldwide presence in important databases of scholarly research. Please send a 200 words abstract with a title to ermanno.malaspina@unito.it and to jwildberger@aup.edu by February 10th, 2019. Acceptance will be confirmed by February 28, 2019. The deadline for final papers submissions is September 30, 2019. Confirmed contributors: Catalina Balmaceda (PUC Chile), The Year of the Four Emperors: Axiological Confusion in Tacitus’ Civil Wars; Francesca Romana Berno (La Sapienza Rome), Getting Nowhere – Confusion as Wandering in Seneca; Marcelo Diego Boeri (PUC Chile), Chrysippus and Galen on the origin of evil; René Brouwer (Utrecht), Diastrophe in the early Stoa: causes, consequences and remedies; Giuseppe Cambiano (SNS Pisa), Errori di valutazione in Polibio; David Konstan (Brown), The Epicurean notion of phantasia; Giuliana Repici (Turin), Errori di valutazione nell’etica epicurea; Emidio Spinelli (La Sapienza Rome), Lineamenti di etica scettica anti-dogmatica; Giovanni Zago (Florence), Virtù e corruzione morale nel pensiero di Posidonio. Per un riesame dei frammenti e delle testimonianze. Audano, Sergio, La statua, la virtù e la memoria del principe: variazioni di un topos tra Cassio Dione (LXXIV [LXXIII] 14, 2a) e Plinio il Giovane (Pan. 55), “Sileno”, 44, 2018, 1-12. Audano, Sergio, rec. di Laura Bocciolini Palagi, La musa e la furia. Interpretazione del secondo proemio dell’Eneide, Bologna, Pàtron Editore, 2016, “Sileno”, 44, 2018, 363-364. Audano, Sergio, rec. di Florence Garambois-Vasquez & Daniel Vallat (edd. ), Varium et mutabile. Mémoires et métamorphoses du centon dans l’Antiquité, Saint-Étienne, Publications de l’Université de Saint-Étienne, 2017, “Sileno”, 44, 2018, 375-378. Audano, Sergio, rec. di Maria Teresa Galli (ed. ), Hosidius Geta, Medea, Text, Göttingen, Ruprecht, 2017, “Sileno”, 44, 2018, 379-386.